We proudly present the results of this ambitious venture – the comprehensively revitalized EasyDCIM v1.4.2! Let us take you on a journey through the most noteworthy modifications which will ensure maximum efficiency of your panel without losing even a bit of quality. EasyDCIM v1.4.2 will safeguard the utmost Admin Experience with a few hefty functionalities. Probably the most practical of them is the revamped Network Auto Discovering option empowering you to add all devices within your network at one go by means of an SNMP protocol. Say goodbye to the times when you had to type in the IP addresses manually! Wouldn’t you like to keep track of all the changes introduced to your devices and know the answer to all nagging questions: who, what, when and where? Now imagine you can have this whole wisdom focused in one place labeled as Revision History! There are many functionalities worth mentioning, but we shall confine this brief guide to one more, and that is IMPI Console VPN Instructions. 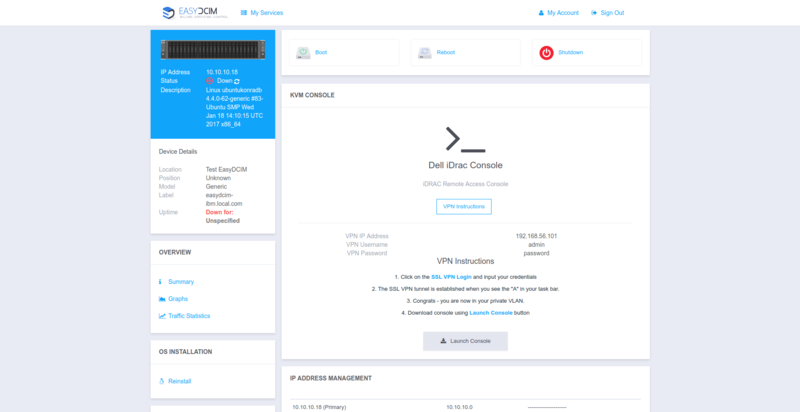 If you want to instruct your clients on how to connect to VPN and download the Java console without tones of operations and rerouting, this is just what the doctor ordered! 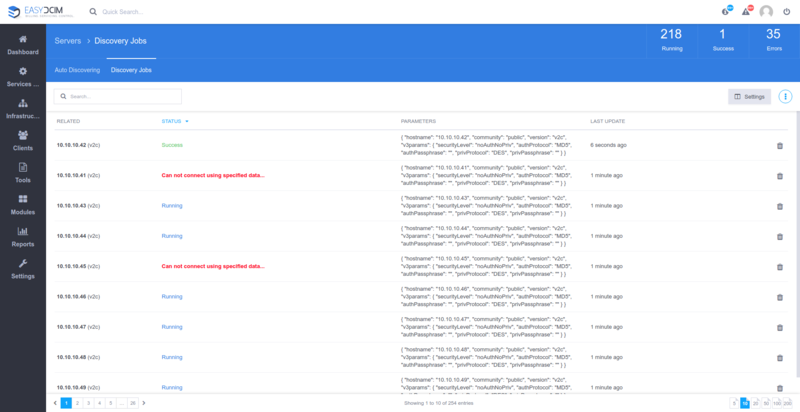 Just fill in four fields added in the configuration form of the IPMI connection exactly for this purpose and go easy from now on. IP Address Management For EasyDCIM 1.5.2 has been charged with two widgets resulting in a more transparent display of IP addresses in the subnet and a device’s summary view. It would ruin the whole fun if we disclosed all the spicy secrets of EasyDCIM v1.4.2 right away, wouldn’t it? You know where to look for the rest – a magical place called the changelog!